You have investment goals. But you want to meet those goals while promoting the companies and causes you support. What you’ve just described is a loose definition of Socially Responsible Investing (SRI). And, contrary to popular belief, you don’t have to sacrifice portfolio returns to do something good with your investments. One of the earliest examples of Socially Responsible Investing principles involved excluding investments in companies engaged in certain business activities like tobacco or firearms. This practice is known as “negative (exclusionary) screening.” Exclusionary screening is still used in many religious-based strategies and to fulfill mandates against investing in specific industries or companies. 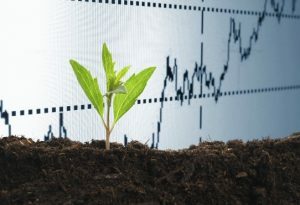 Although Socially Responsible Investing has been around for decades, the amount of money invested according to social and ethical issues has begun to grow substantially in recent years. Today, one out of every six professionally-managed dollars in the U.S. is invested in a SRI strategy. The vast majority of these monies come from foundations, pension funds, and college endowments. You do need to remember that you are trying to meet your long term financial goals, so proper research and adherence to solid investment practices like appropriate “asset allocation” and “diversification” is important. When researching a company, do a deep dive and look at their earnings, total company debt, income and expenses. You have choices when investing in SRIs: individual stocks, ETFs, and mutual funds. Mutual Funds which invest in a variety of SRI strategies are now flourishing. Over 50 new funds have opened over the past several years. All told, more than 175 mutual funds and over 40 exchange traded funds practice SRI in form or another. There are plenty of Fixed Income choices, as well as “Green Bonds,” which use debt from capital markets to fund climate and social solutions. Green bonds were created to fund projects which have positive environmental, social, or climate benefits. They are usually tax-exempt and issued by a federally-qualified organization or municipality. Frequently, they are used to develop underutilized or abandoned buildings with low levels of industrial pollution and turn them into affordable housing. Remember there is a cost for everything and the SRI you desire might not be less expensive. Prepare yourself for the possibility for slightly higher fees in some cases. While the costs are probably not prohibitive, they could eat slightly into your investment returns. In many cases, you can outperform traditional “Non-SRI” investments. Take, for example, the rapid drop in the price of oil earlier this year. The funds that divested themselves of fossil fuel investments enjoyed greater returns due to the exclusion of those companies in their funds. Solid investing principles dictate that you should not bite off more than you can chew. Start with a small piece of your investment portfolio, perhaps, and do not try to transform it all at once. Remember to track performance so you can see how it is meeting your investment goals, as well as your socially responsible goals. We can help you find SRI investments which will fit into your overall investment strategy. Steve Scott is a Senior Financial Advisor with Manchester Financial, an Investment Counsel/Wealth Management firm located in Westlake Village. For more information call 800-492-1107. This material is provided for general and educational purposes only, and is not legal, tax or investment advice. For each strategy or option mentioned, there are detailed tax rules that must be followed. This entry was posted in Financial Planning and tagged Socially Responsible Investing, SRI. Bookmark the permalink.